Every year there are those players projected to go in the top five of the NBA draft who are supposed to become the next group of superstars, and every year, one or two of them (at least) struggle right out of the gate. Now, we aren’t going to look at just the top-five prospects, but we’ll look at a large range of early first-round players who are simply overrated, but are likely going to be fairly high picks regardless. Now, some of these players may have bolstered their draft stock in the 2016 NCAA Tournament, while others could have hurt their stock to some extent. Regardless, we believe that these five players below will qualify as “overrated” when all is said and done. It’s worth noting that not all of these players have declared yet, but all are expected to. We’ll include them on this list, but there’s still an outside chance they may return to school (which obviously almost never happens anymore). Let’s get right into it. The seven-footer from Utah has tremendous upside, and on paper, his numbers look good. He’s only a sophomore, but during this season he averaged 17.2 points, 9.1 rebounds and 1.9 assists. 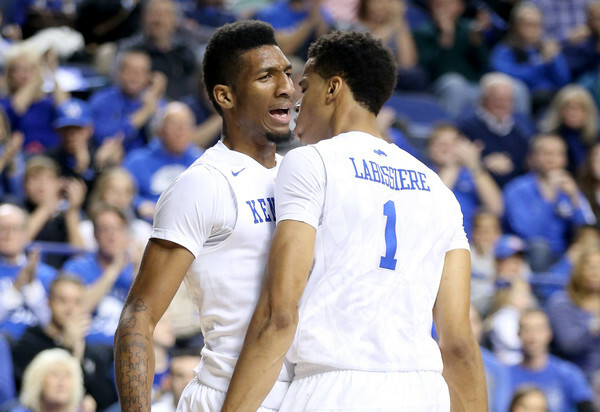 Now, let’s look at his games against NCAA Tournament teams during the regular season. We’ll qualify the “good” as his yearly statistical averages or better, and the “bad” as any game that his numbers didn’t hit the averages. The good is pretty good, not exceptional and some of those point totals are lower than his season average, in all honesty. The bad? It can be real bad. 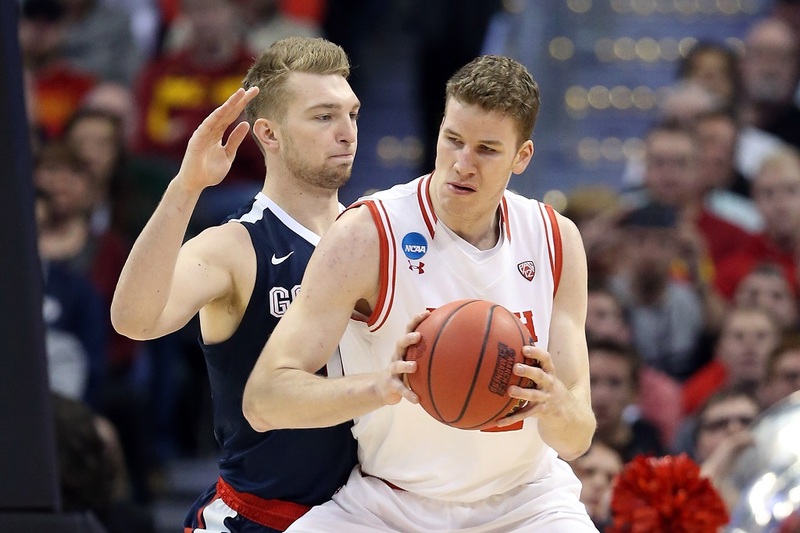 When Poeltl was up against his toughest competition in Oregon (three times), Miami, Gonzaga and Duke, his averages were 12.2 points, 7.2 rebounds, 1.3 blocks and 1.2 assists. Those numbers get a nice jump thanks to the Duke game as well, and let’s not forget that the Blue Devils aren’t exactly loaded with dominant big men inside either. Poeltl has the potential, but some are projecting him to be a top-five pick. Unfortunately, he’ll need a few seasons before really having any chance to turn the corner. Labissiere is a freshman, and obviously has plenty of ability and potential, but we didn’t see him do very much in 2015-16 for the Wildcats. He finished up the season with averages of 6.6 points per game, 3.1 rebounds and 1.6 blocks per game. While Labissiere is going to be a high draft pick largely due to the fact that he has the potential and is flirting with being seven feet tall, that doesn’t mean he’s going to become a star out of nowhere, like many people believe he will. So, he topped 20 points just one time, and topped 13 points four times. As you can probably tell from that list, the only team who made the NCAA Tournament was Stony Brook, who Kentucky rolled over 85-57 in the first round. Some team is going to take a chance on Labissiere early on in the draft, but fans shouldn’t expect it to pan out immediately, because he’s a very, very raw talent. Let’s start by stating that there’s a lot to like about Brown. The forward is 6-foot-7 and has major upside. He finished up the season with averages of 14.6 points, 5.4 rebounds and two assists. Not too bad, but now he’s likely on his way to the draft and you can bet that someone is going to spend a high draft pick on him. While he had multiple impressive games during the 2015-16 regular season, we’ll go ahead and start with his NCAA Tournament game, then head back to the beginning of the season. California was without leading scorer Tyrone Wallace in the tournament opener against the No. 13 seeded Hawaii Rainbow Warriors. 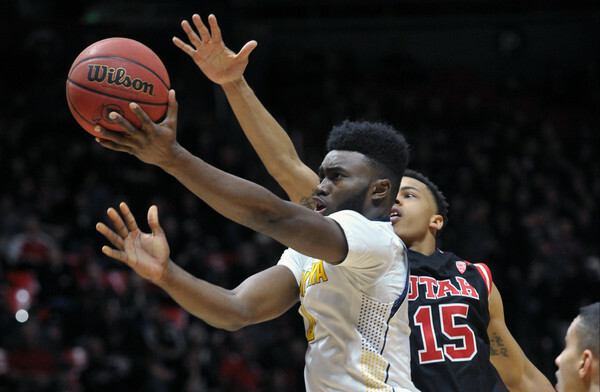 This meant that it was on Brown, as well as the likes of Ivan Rabb to step up and fill the void. Unfortunately, Brown wasn’t around long in that game, as he played just 17 minutes before fouling out, finishing with a stat line that included four points, two rebounds and seven turnovers. Yes, he had more turnovers than points and rebounds combined. It was a brutal showing from Brown, but it’s more than that which leaves us concerned about his draft stock. While he finished with over 10 points in quite a few of those games, his shooting still needs obvious work. Neither his ability to rebound, nor his passing makes up for his shooting woes at times, and it’s something he’ll need to improve. At this point, it’s not going to sway teams away from drafting him, and he’ll still be a high pick, but he’s definitely a bit overrated at this very moment. NBA: Should Kemba Walker Recieve More Recognition?